Zanzibar is said to be known as an island paradise as it’s actually a whole group of islands, two large one by the names of Ungoja and Pemba and the rest are the small ones. Life can get pretty hectic and overwhelming every once in a while, its times like these when you should just take a breather and relax and unwind. There are tonnes of activities you can do that will accomplish those goals but if you want something like a tour to an exotic location, then Zanzibar is the place. Although there are millions of various destinations all over the world, it seems people usually pick the most popular ones such as France, Spain, Egypt, and so on. 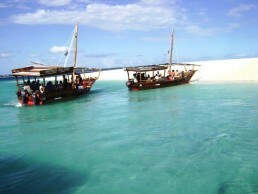 Such a move is rather unfortunate because you will never meet other exotic destinations such as, for example, Zanzibar.